Do you have questions about our SunPower solar panels, or questions about solar in general? Give us a call at 1-800-472-1142. Is SunPower the best panel choice for my project? 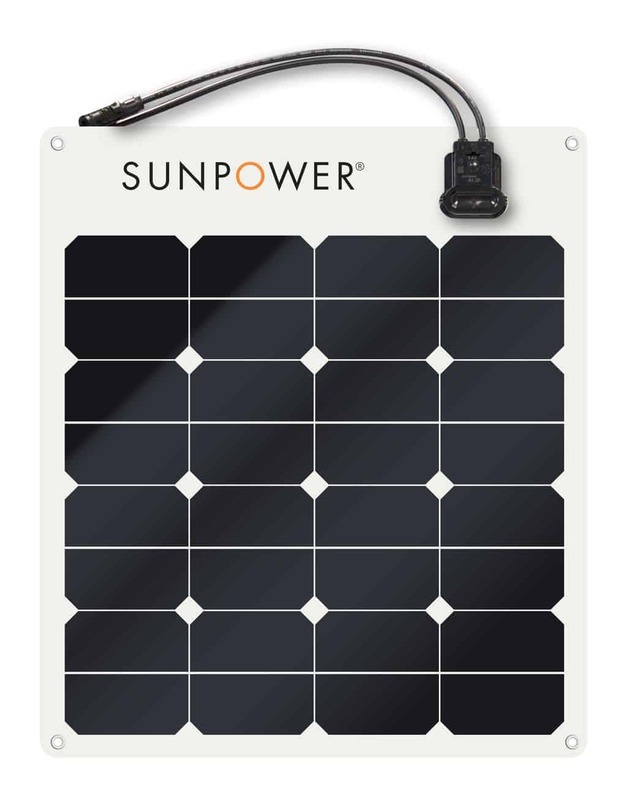 Made with SunPower’s highest power Gen II back contact cells, SunPower’s flexible panels deliver the highest power output and the highest charging capacity in their product class. SunPower’s panels are constructed with top-grade, light-weight polymer materials, allowing for easy transport, installation and panel flexing up to 30 degrees. The panel includes MC4-compatible quick connectors and can be installed with adhesives or by using the included stainless steel grommets. SunPower & Maxeon are trademarks or registered trademarks of SunPower Corporation in the U.S. and other countries. All Rights Reserved. All images provided by SunPower. SunPower has been a global leader in solar innovation since 1985. SunPower solar panels consistently deliver more energy and long-term peace of mind with the highest performing solar power systems available. 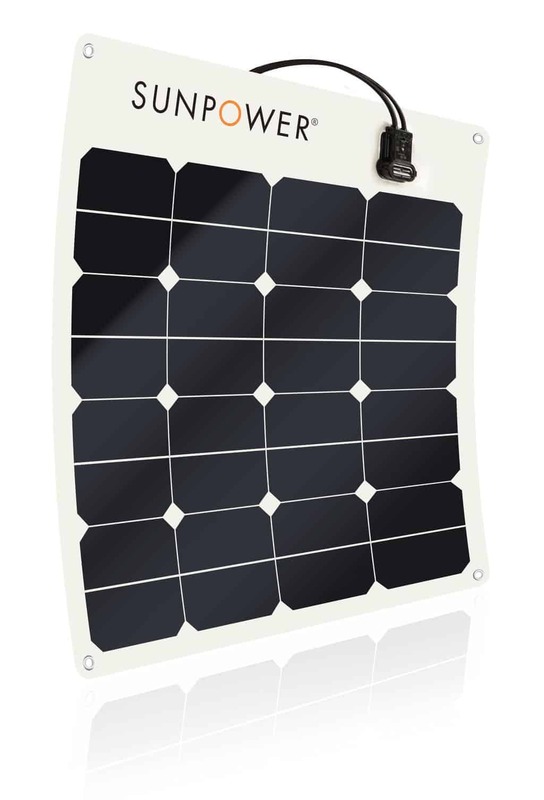 SunPower FlexPanels: Portable solar panels to power your next adventure. SunPower FlexPanels are lightweight and portable, so you can take them on your next adventure: camping, sailing, or boon-docking in your RV. SunPower panels feature the highest-efficiency solar cells available which means more power or faster charging times.